BOOK NOW for the fairandfunky Fairtrade Conference for Secondary Schools! 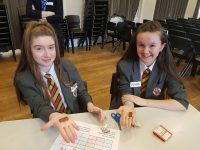 The fairandfunky Fairtrade Conference for Schools brings together Secondary Schools from across Yorkshire to ignite enthusiasm and interest in both pupils and teachers for local and global sustainability. The conference will link with the Eco-Schools programme and Fairtrade Schools Award, providing evidence for each of these award schemes. Interactive workshops will develop a deeper understanding on trade justice issues, citizenship, co-operative values in business, and the Fairtrade system. Leading workshop providers and business leaders from fairandfunky, Upcycle Fashion, Koolskools, Trading Visions and Suma Wholefoods – will facilitate interactive sessions through drama, debate and presentations, involving: global supply chains, international trade relations, food sustainability, and co-operative business – providing plenty of food for thought! Teaching staff are invited to attend a one hour workshop facilitated by fairandfunky on the steps to make your Fairtrade Schools journey. 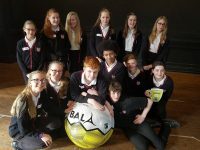 With expert knowledge and case studies from local schools you will gain invaluable advice and top tips on gaining the Fairtrade School Awards, plus brilliant resources to make it happen where you are. Over lunch all delegates can enjoy networking with workshop facilitators and will be able to shop in the ethical marketplace. The conference will close with certificate presentations from The Mayor of Kirklees. Booking includes places for up to 10 students and 2 members of staff for only £145. Each student delegate also receives an event bag with Fairtrade goodies! Please click here to download an information flyer or email sophie@fairandfunky.com for information and a booking form.